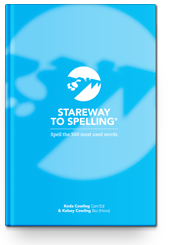 View cart “Stareway To Spelling Manual” has been added to your cart. The Toe By Toe Manual has given THOUSANDS of children, adolescents and adults with reading difficulties the gift of reading. More than 500,000 people WORLDWIDE have dramatically changed their lives thanks to the success of Toe By Toe, giving them greater self-confidence and the ability to study more effectively across all subjects. It doesn’t matter if you are aged 7 or 70, Toe By Toe can improve ANY struggling readers reading age by YEARS in just a few weeks or months of studying. And you achieve this by studying just 20 minutes a day. Toe By Toe is essentially a decoding book. It trains students who struggle to read to better identify written text, easily and quickly. This enables them to convert letters and words into the appropriate sounds so they speak and pronounce them correctly every time. The beauty of Toe By Toe is that it can be studied at home. Almost anyone can teach it. You don’t need to be a qualified teacher. A parent. A family member or friend. Even a sibling. Almost anyone could be a mentor, teaching struggling readers how to read. All exercises are easily followed. Everything is clearly explained in Coaching Tips on how best to deliver the exercises. #TBTchanges lives … DON’T MISS OUT! GRAB YOUR COPY NOW! My son had been struggling with reading, Toe by Toe has changed this, he completed the last page yesterday, and is over the moon. We looked back to the beginning of Toe by Toe, and we laughed together at some of the words he struggled with, it’s amazing how far he has come, and he now feels confident (and happy) reading on his own. Thank you so much. Thank you for your kind comments. We are all thrilled that your son has completed his book and hope that he is now a more confident reader. There is a “follow on” book called Stride Ahead which takes approximately 12 weeks to complete which will add to his fluency and speed of reading leading to better comprehension. Please see http://www.kedaeducation.co.uk for details. I have been using Toe by Toe for many years. I have been really impressed at the way the pupils have grown in confidence as they have progressed through the programme. It is a real red letter day when I get to award a Toe by Toe certificate to say someone has completed it. Hi Maggie. Thanks very much for your positive comments about Toe by Toe. In my opinion the boost in pupils’ confidence is even more important than the reading skills themselves. My mother Keda created the manual over a 25 year period. I’m incredibly proud of her. 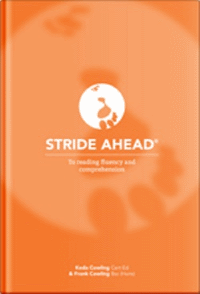 There is a ‘follow on’ book called Stride Ahead which takes approximately 12 weeks to complete which improves fluency and reading speed leading to better comprehension. Please see http://www.kedaeducation.co.uk for details. We took our son through this when he was about nine after some very expensive private tuition that achieved very little. By the time we completed the book his reading age had progressed by a year (his school tested him), but more importantly he had developed the skills and confidence he needed to move forwards by himself. These days we don’t even think of him as dyslexic, which is not surprising given his GCSE results this year (7 A*s and 4As). Don’t get me wrong, his success is largely down to his phenomenal effort and determination never to accept second best, but I am quite certain that it all started with Toe By Toe.